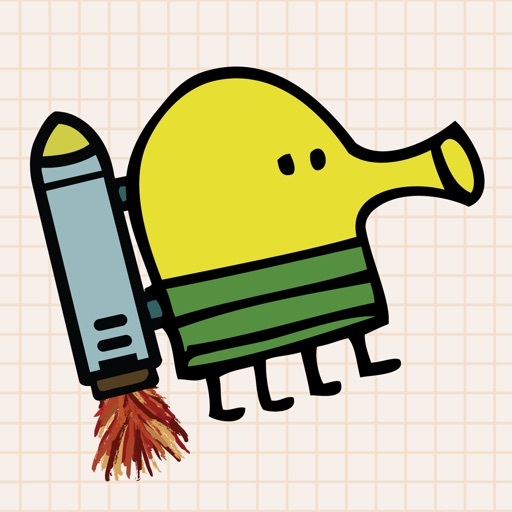 WHEN WILL DOODLE JUMP BE OPTIMIZED FOR IPHONE 10? A must have game for any iPhone user. Addictive and fun. Great picture quality especially for the iPhone 4!!! This is one of my first games ever played on iOS long time ago and I downloaded this again after forgetting about it. I would love if this game can be optimized for iPhone X. Please! I love it!! I can't stop playing it! !My high score was 9694!!!! This app has become one of those apps you wish you hadn't purchased. The control for movement isn't consistent. Moving the iPhones 6+ the same amount gets varying degrees of movement on the game. It's very difficult to know where the doodle might end up, which always leads for Game Over. Also, the shooting is all but useless. It doesn't matter where the doodle is, tapping the screen doesn't have the shots go where you want them. So when a game goal is to never miss the doodle 5 times in one game .. that's impossible to do. I thought that maybe I had figured it out .. doesn't matter where the doodle is, tapping the middle of the screen shoots straight up, left side shoots left, etc. But even this isn't consistent. Tapping the middle SOMETIMES shoots straight up, sometimes to the right. Turning the directional shooting off makes it worse because there isn't always a platform with enough space to shoot the monster prior to hitting the monster or there might not even be a platform under the monster from which to shoot. It would work if the game shoot where you touched the screen, but that's not the case. Between my son and myself, we've played this app over 500 times and haven't gotten past 20,000 points. Very frustrating. I wish I hadn't purchased this app. I don't like the bare traps it makes the ninja store mode inposabole.also the enames Are to hard to kill and find.but besods that it is epic. It's been very annoying that I can't play multiplayer mode. Error error error! It's a classic!!! Must get.